Video recording of Mrs. Hawking production! I am very proud to present the video recording of the fully produced Mrs. Hawking, the first installment of our series! 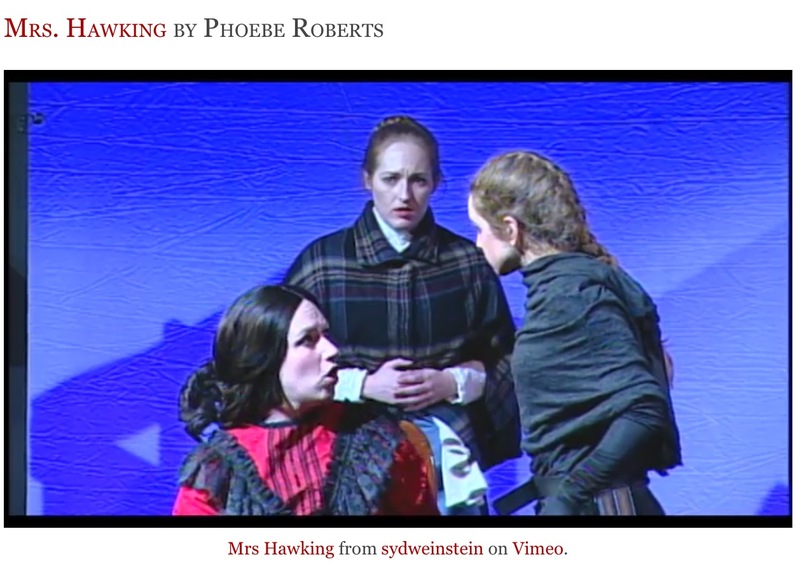 Mrs Hawking from sydweinstein on Vimeo. This recording captures the Arisia 2016 performance on the main stage at the Westin Waterfront Boston. We were very lucky to have videographer Syd Weinstein and his crew run the cameras during our run, and he has edited together a dynamic, focused recording. 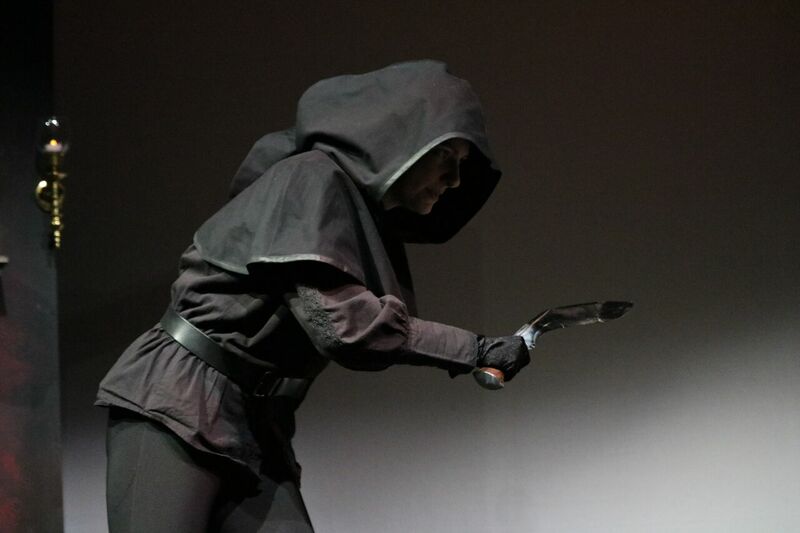 What I love about it is that it captures many of the finer details of our story that might not be so clear onstage. I think it’s a great representation of all the hard work and craft coming together to tell this unique story. I’m also glad to have this because, since Mrs. Hawking has seen four runs over the last two years, it’s going to be retired from production for the time being. This will enable us to free up the time and resources to produce the subsequent installments. Having this recording will still allow people to experience it even though it’s no going to be performed in the near future. That’s especially great for the upcoming June 10th staged reading of part three, Base Instruments. Watching the video will enable the audience to get up to speed with all the spectacle of the full production before experiencing the further story. So, for those of you who missed the performances at previous shows, or for those who’d like a closer look at all the nuances of the production, please check out this awesome video. 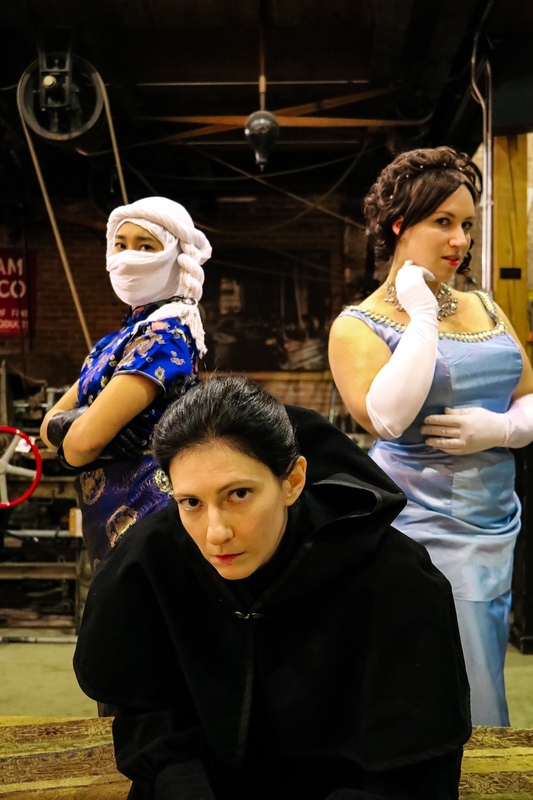 New show video of Gilded Cages at Arisia 2018! Video recording of Base Instruments at Arisia 2017!